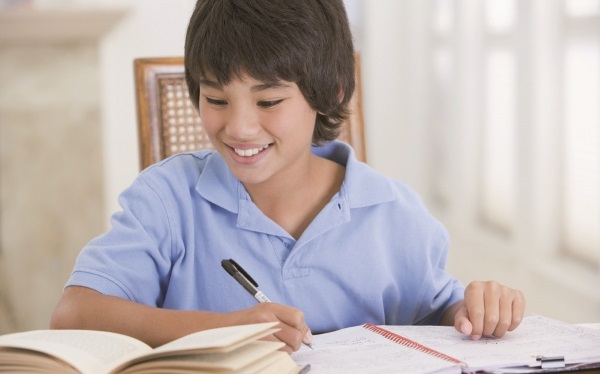 Research suggests that homework has little impact on academic achievement. So, how can schools ensure it is used to improve pupils' learning? In my final year at primary school, we were challenged to produce three projects – one per term – on subjects of our choice. Eleven-year-old me loved this opportunity. Freedom! I could decide what I would be doing for my homework for the whole term! I was in charge of pacing, designing and carrying out my projects and I could not have been happier. As a teacher, I can see the very real educational benefits of giving children this freedom and responsibility. While it seemed to me that I had total say on what I did, my teacher was, of course, involved in overseeing my work and ensuring that progress was being made. This must have been a challenge given that each class member was working on a different topic, but the research skills, responsibility, and interest in the world that we learned through those tasks, I suspect, may not have been taught in other ways. If you are following any education discussion on social media you’ll know that homework, marking and feedback frequently come up in conversation. While the key question of whether or not homework ‘works’ never seems to be definitively answered (to the satisfaction of all, at least) the research is pretty clear; homework in primary schools has little or no academic benefit and in secondary schools, the academic benefits are limited at best. Daniel Willingham, professor of psychology at the University of Virginia, discusses the research on the effects of homework on his blog. With homework occupying such a controversial space in the wider educational debate I was keen to get the very latest from Ofsted on their view. A spokesperson told me: ‘When Ofsted inspects schools we focus on outcomes for pupils. We do not have a particular approach to homework, which is a matter for individual schools to determine. ‘Our grade descriptor for good teaching, learning and assessment states that teachers should set homework that is appropriate to pupils’ ages, consolidates their learning and helps them progress to the next stage of their education. With this in mind, rather than continuing the debate for and against homework, we might better focus our attentions on the quality of any homework set. What skills and knowledge does it seek to perfect? How might we ensure that all children can access the benefits to be derived from homework even if they are not fully supported in this quest at home? Homework should be purposeful and not be reliant on an inordinate degree of help from parents. I’d add that it should develop skills of independent learning, and if it can have relevance over a period of time, all the better. No one wants to pursue a bad deal for children, so it’s important that homework remains under the spotlight and responds to the latest evidence. But I would argue that it’s also worth pursuing tasks with long-term aims, during which teachers can offer feedback at a time when pupils are able to make actual use of it to improve their learning. Owen Carter summarises the research evidence on effective marking and what makes an impact on pupil progress. The Philip Morant School and College in Colchester have recently announced its intention to move away from a model of homework that has a negative impact on teacher workload and towards a model of independent learning for their students. It will be interesting to see how this pans out, but if the research and my personal experience is anything to go by I suspect this might just be a wise move for pupils and teachers alike. And my topics, all those years ago? I still have each project: costume through the ages, complete with a hand-stitched cover, the Lake District, and Charles Dickens, the highlight of which was the incredible, personalised research input from his great-granddaughter, Monica Dickens (sometimes you just have to ask! ).